We met Warren Raftshol of Raftshol Vineyards a few years ago while studying viticulture in the VESTA program. 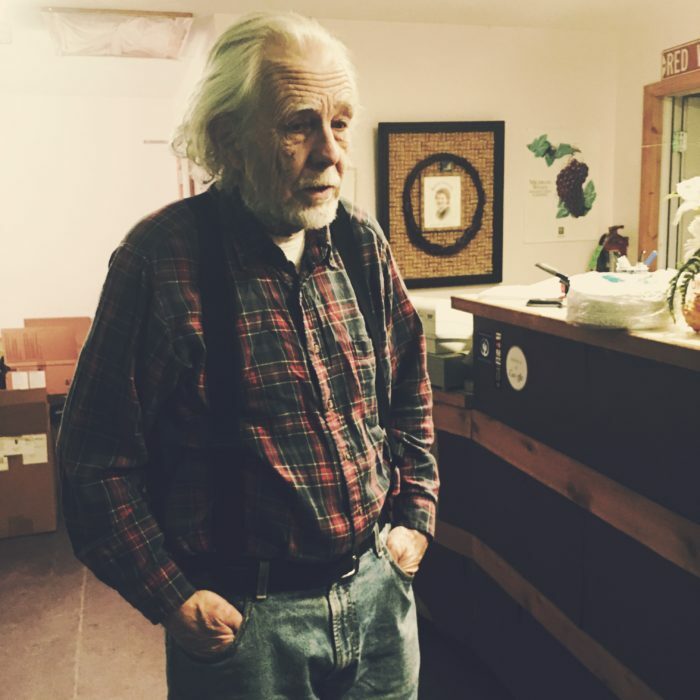 His vineyards, located just a few miles north of Suttons Bay on the Leelanau Peninsula , are managed with minimal intervention and he stopped applying glyphosate several years ago. His approach in the cellar is mostly hands-off, using sulfur sparingly. 2013 was a cool year, yielding grapes with lower sugars and higher acidity than usual. The merlot made from that year’s harvest was low in alcohol, with punchy acidity and bright fruit. Warren let the merlot mellow in neutral barrel for three years before we happened upon it while barrel tasting with him in the summer of 2016. After a rousing performance of several Schubert numbers (Warren has a piano in the tasting room and an emotive singing voice), we asked about the barrel of merlot. He had no definitive plans for it; it wasn’t typical of the reds he usually bottles and he wasn’t sure that how it would fare with on the palates of his regular customers. We loved the wine and what it represented: an expression of Michigan’s temperamental climate; a vigneron who had abandoned manipulative cellar practices; a grape that had fallen out of vogue. We agreed to collaborate – we’d create a new label, help get the wine from barrel to bottle and on to shelves so others could experience its pure expression of Michigan viticulture. The wine is a unique balance of fresh and developed flavors. Notes of cranberry, clementine, panettone, forest and mushroom pair well with holiday meals, funky cheeseboards and curious minds. 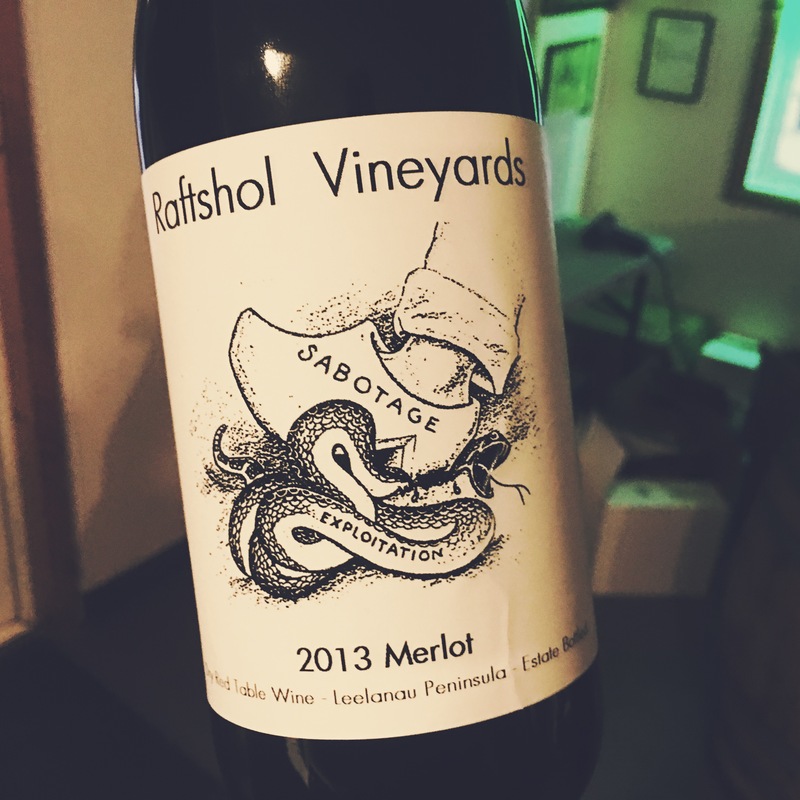 The 2013 Raftshol Vineyards Merlot is currently available at Western Market in Ferndale, Mudgie’s Deli & Wine Shop in Detroit and Spencer in Ann Arbor. There were just 20 cases made.